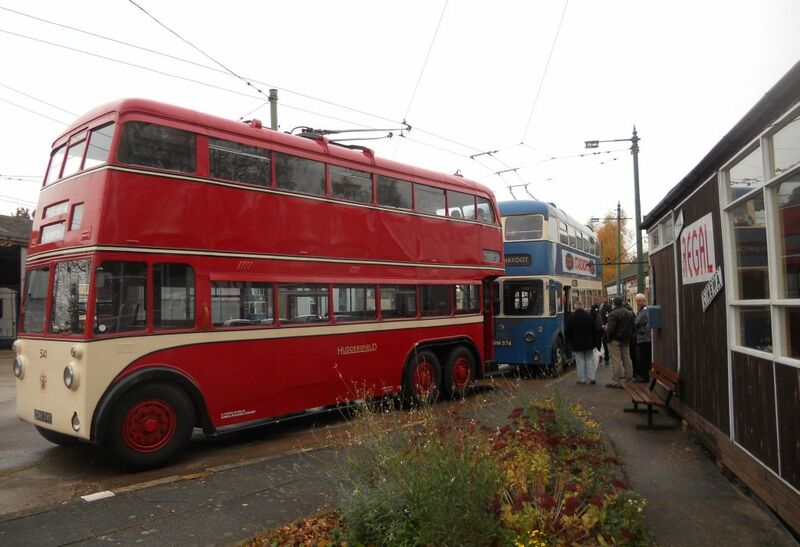 There is currently only one day a year when the Trolleybus Museum at Sandtoft opens beyond the hours of daylight. Fittingly, this event is known as Twilight Trolleybuses – and as the light fades both interior and running lights are switched on, to recreate scenes not seen on the streets of Britain since the last trolleybus ran in Bradford in 1972. 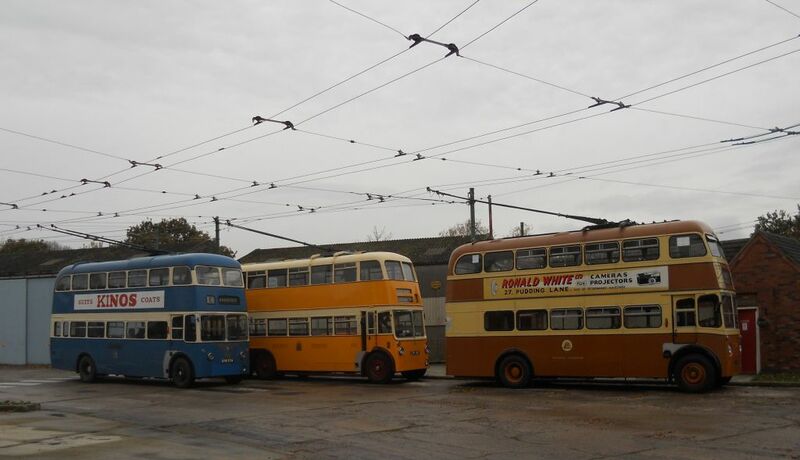 When I first arrived it was still daylight, and only two trolleybuses were in operation – Huddersfield 541 and Bradford 792. Although there were others stood in readiness. Here the Bradford trolleybus passes Maidstone 56 and Newcastle 501.